This blog discusses what happens when a dentist has been refused insurance cover. In a previous blog, we discussed Desmond D’Mello who was suspended over concerns with hygiene. This prompted NHS England to launch a public appeal to trace his patients to test them for Hepatitis B and C and HIV. A recent report  has now advised that a number of D’Mello’s patients may not recover any compensation due to D’Mello being refused insurance over. 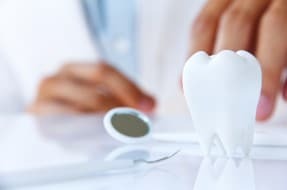 There are two ways in which to bring a dental negligence claim, the first way would be for the dentist to notify their defence organisation of the claim. All practicing dentists are required to have appropriate insurance arrangements in place so that patients can claim any compensation to which they may be entitled. It is also now a requirement that applicants who are registering for the first time or restoring their registration must complete a declaration with the General Dental Council  confirming that they have appropriate indemnity or insurance in place. Once the indemnity insurer has been notified, solicitors then correspond with the indemnity insurer directly. There is no direct involvement with the patient and dentist and this is sometimes a concern patients have, when deciding to bring a dental negligence claim. We talk with many clients who initially think they will be suing the dentist directly, but this is not the case when the dentist has indemnity insurance. If the claim is successful, the indemnity insurer will pay any compensation that has been agreed. The second way in which to bring a claim would be to pursue the Defendant directly. This can be the case if the Defendant has failed to advise the patient’s solicitors of their indemnity insurer or where the indemnity insurer has refused to provide indemnity. In this scenario, the dentist would have to be pursued personally. If the dentist has the funds to be able to satisfy a successful claim, the dentist would pay the compensation out of his own personal funds. Unfortunately, if the dentist has no assets or has been declared bankrupt, patients will find they will not have any cause of redress and they will not be able to recover any or all of their compensation. It is not normally the case that a dentist will not have insurance or an insurer will refuse to provide indemnity. In the majority of cases, the dentist is co-operative and their indemnity insurer are notified. If you need assistance in understanding the process to bring a dental negligence claim. Please contact a member of the Dental Negligence Team, who will be happy to assist and provide you with the advice you need. Organisation who regulate all qualified dental professionals.